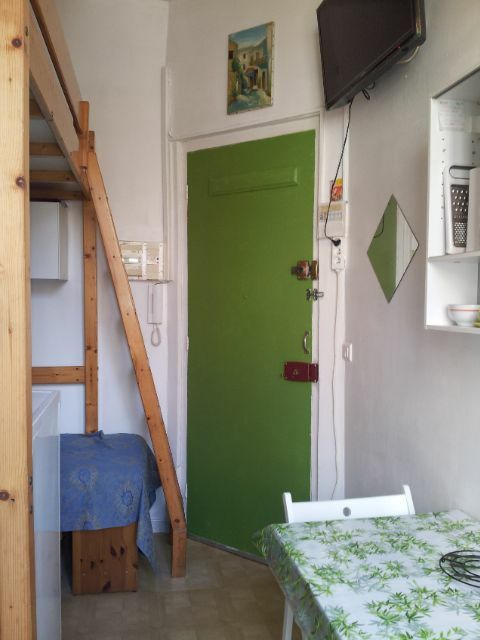 Small studio located right in the city center. Comfort. Mezzanine double bed Furnished new. Calm, clear. Antique district. 20m from the port, animations. 50m: castle gardens, shops. 200m from the Promenade des Anglais. Blue Bicycle Rentals approximity next to Piazza Garibaldi most beautiful square in Nice, with its bars and entertainment daily rental, sem, quinz, preferably months. Possible year round. From 2 weeks minus 10%. CLOSE TO MONACO CANNES WITH 1 TICKET BUS. Salya IN YOUR SENTENCE. .